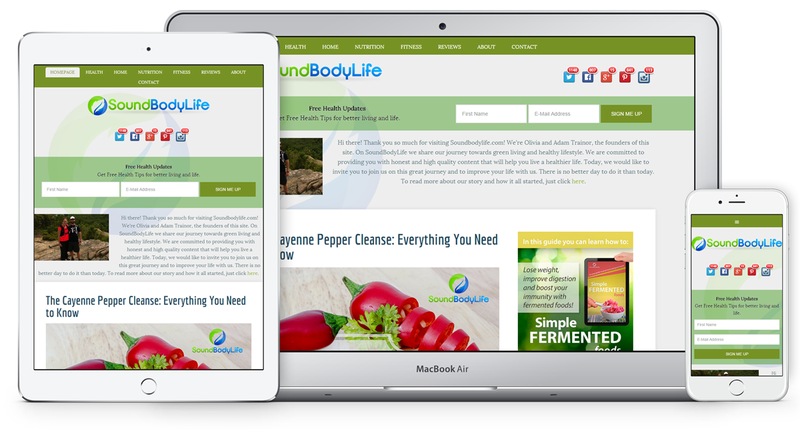 Sound Body Life project: a neat health magazine layout was designed and developed through a custom Genesis child theme. Email sign up bar was added at the top for maximum user sign-ups. Whole layout follow a simple typography with prime focus on the content.